8. Click the Save & Exit button. Your segment will populate and you'll be redirected to the Automated Flow composer to design your email with the segment selected. 11. Compose your email with the drag & drop composer. 12. 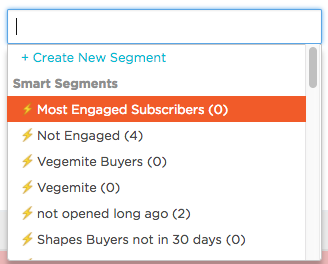 Click the Automate button and set the time trigger you'd like your email to go out at once subscribers join your segment(s). 13. Choose the Recurring option so the email triggers every time your customer doesn't reorder within the time frame. 15. 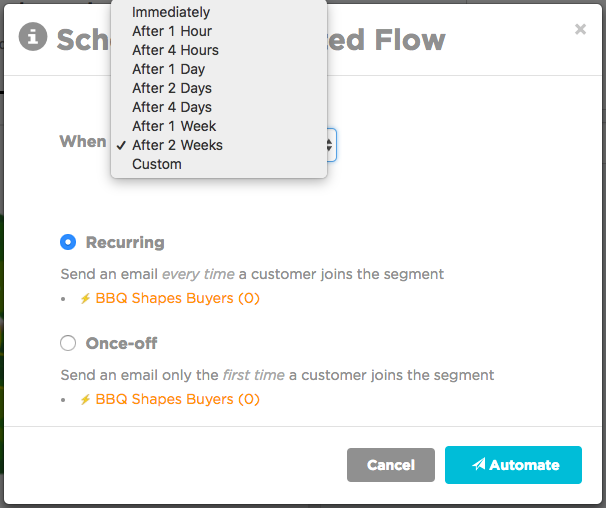 Create a new Automated Flow and repeat steps 11-14 to add subsequent followup emails to the flow.